Different Strokes Calderdale is moving to Halifax. This is a UK charity providing active, self-help and mutual support to working age and younger stroke survivors. 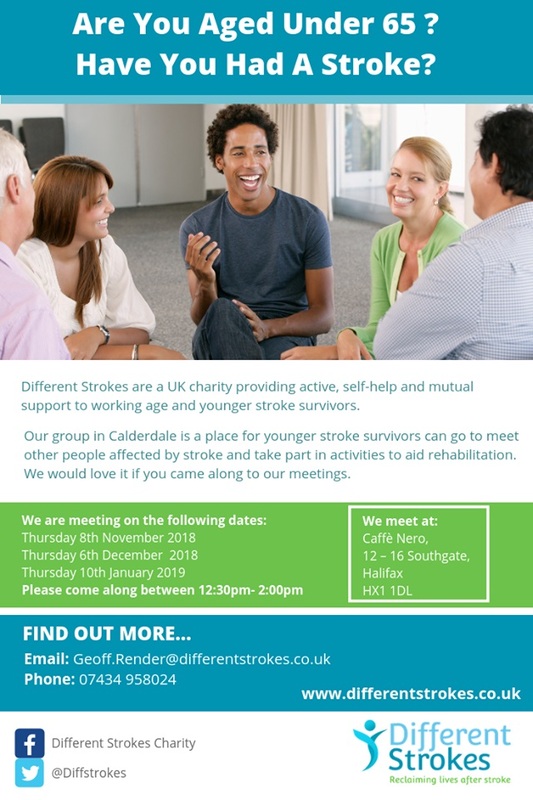 The Calderdale group is a place for younger stroke survivors to meet other people affected by stroke and take part in activities to aid rehabilitation. For further information email Geoff.Render@differentstrokes.co.uk or call 07434 958024.